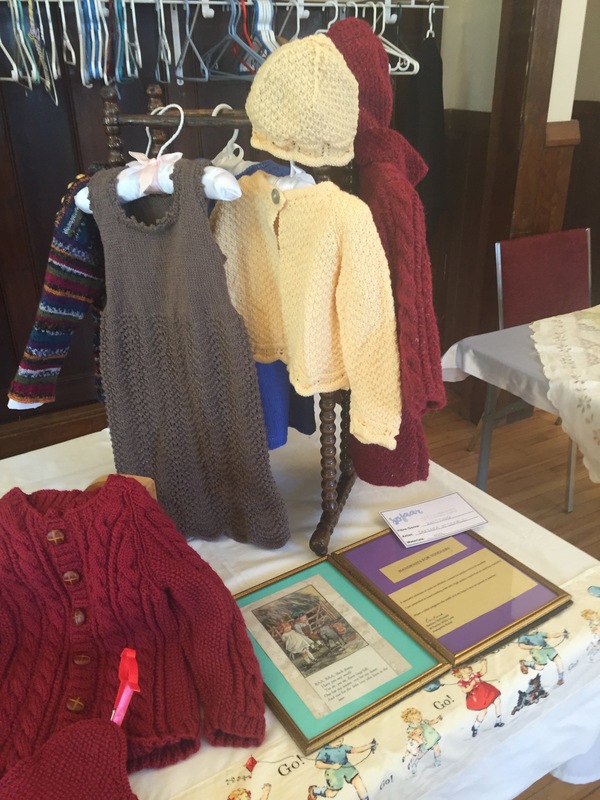 Please find below the guidelines for submitting pieces to our annual “Art of Fibre” Exhibition which will be held at the Chapel Gallery in Annapolis Royal in September and October. We encourage everyone to submit pieces as this show is not juried, just curated and there is no theme. 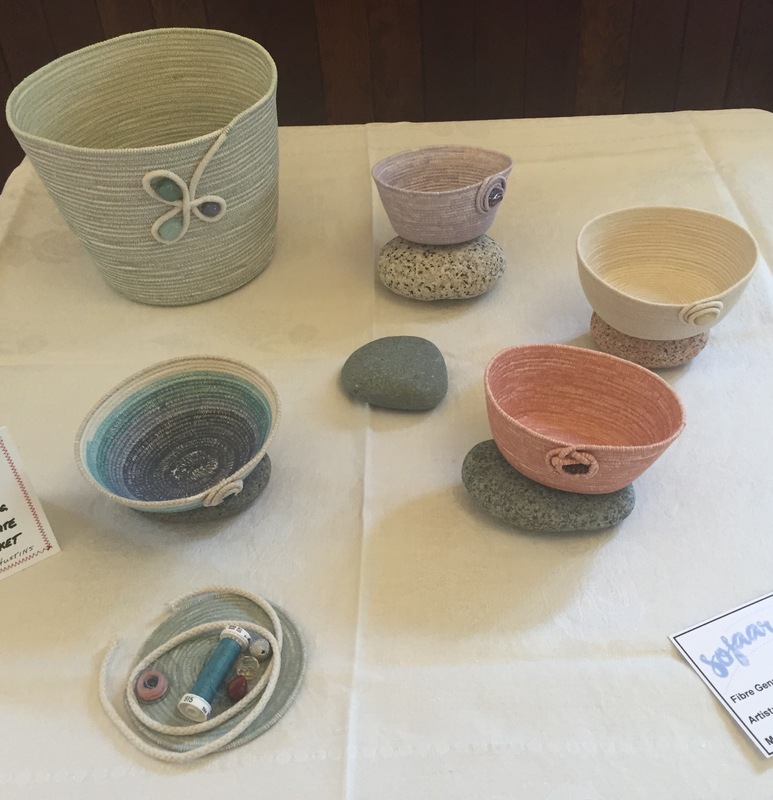 The objective for the curator is to showcase as much variety of fibre art as possible in the small Chapel Gallery. 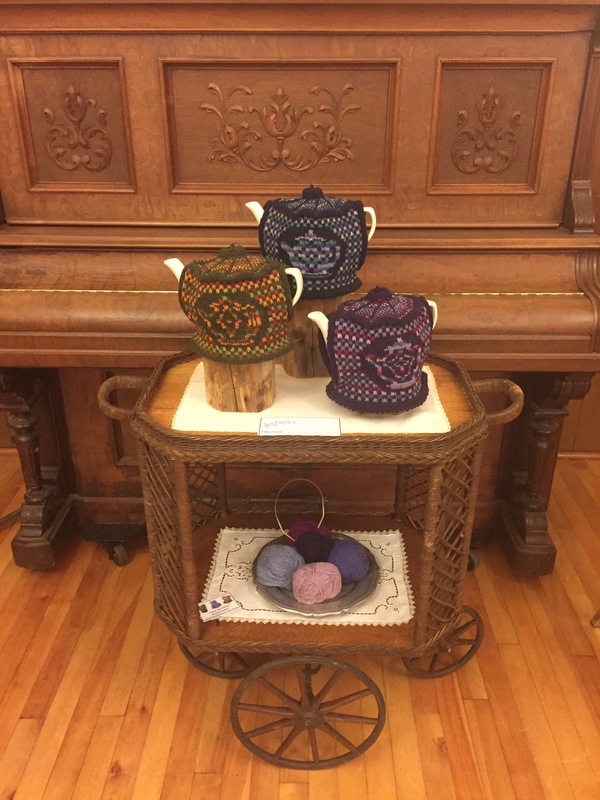 This exhibit is on during our Fabulous Fall Fibre Retreat. 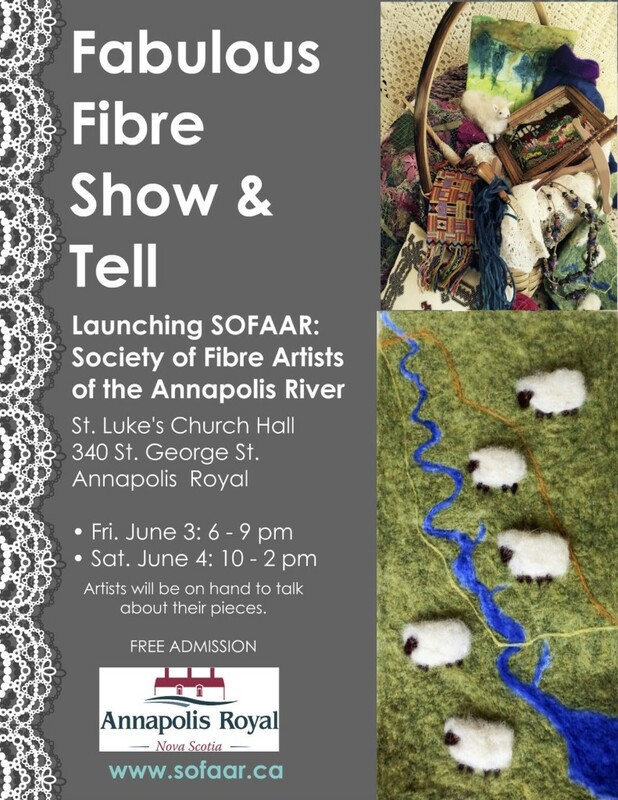 All members of SOFAAR are invited to participate in the annual member’s exhibition at the Chapel Gallery at ARCAC (Annapolis Region Community Arts Council) in Annapolis Royal from September 2 to October 13, 2018. 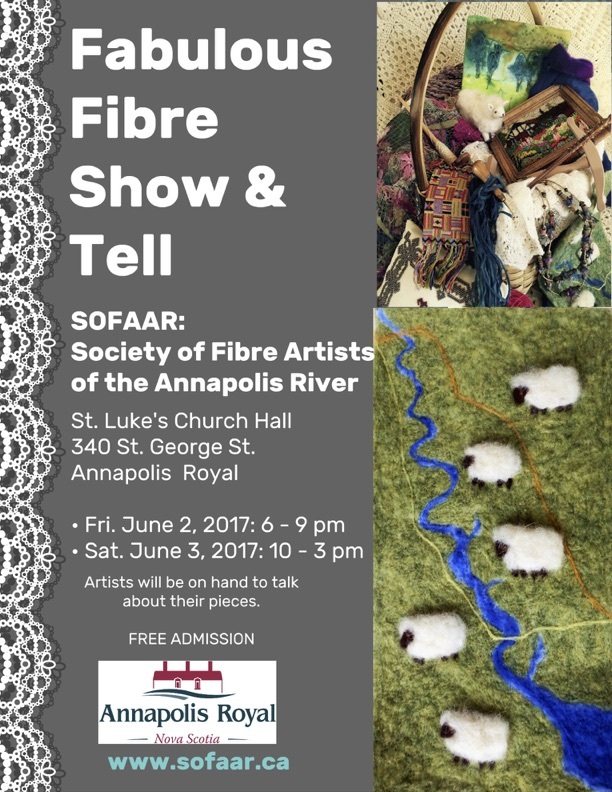 This year’s exhibition will not have a specific theme but we want to feature the excellence and the wide range of fibre art created by SOFAAR members. Submit your latest work or an older piece of which you are particularly proud to have created. We encourage original work but if it is not we ask that you credit the original designer. 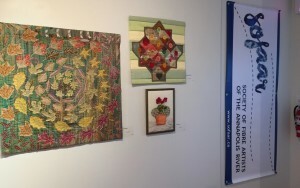 Acknowledgement should be given to anyone participating in the execution of the work, i.e.,quilted by, framed by, etc. 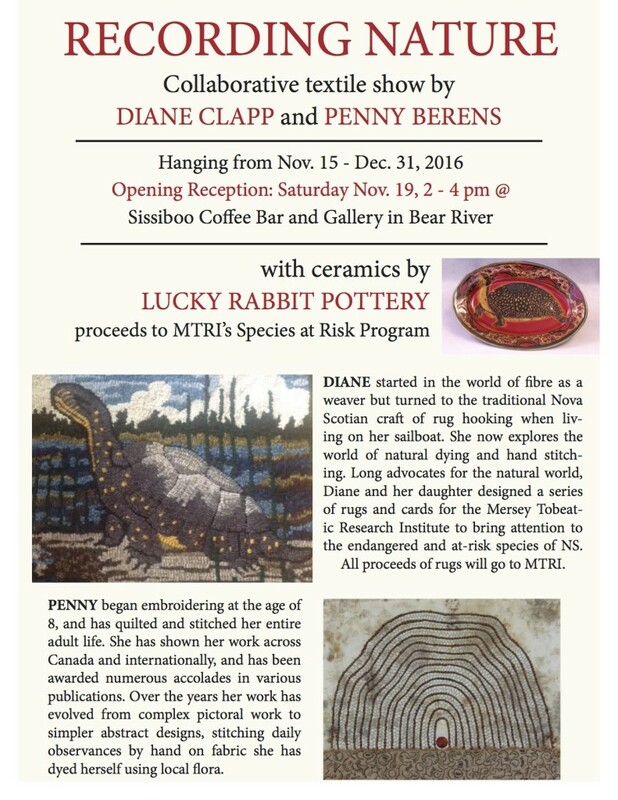 – This is a curated show, not a juried one. 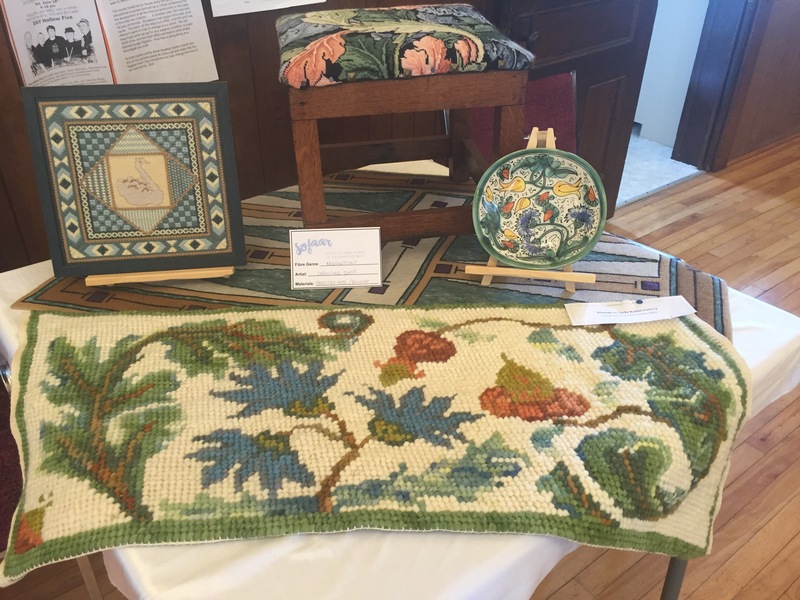 The Chapel Gallery is not a large space and the curators’s task is to look at the work that is submitted and choose pieces that will show the greatest variety of fibre art as possible in the available space. – We are delighted to announce that Laurie Swim and Valerie Hearder will be our curators. 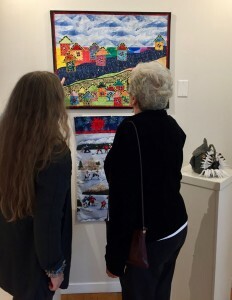 Recipient of numerous honours, including the 2013 Portia White Prize, Laurie Swim is arguably Nova Scotia’s best known fibre artist. 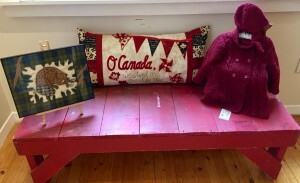 Her most recent work, Hope and Survival, tells the story of the Halifax Explosion and was displayed at the Maritime Museum of the Atlantic in 2017 and the Museum of Industry in Stellarton, N.S, earlier this year. 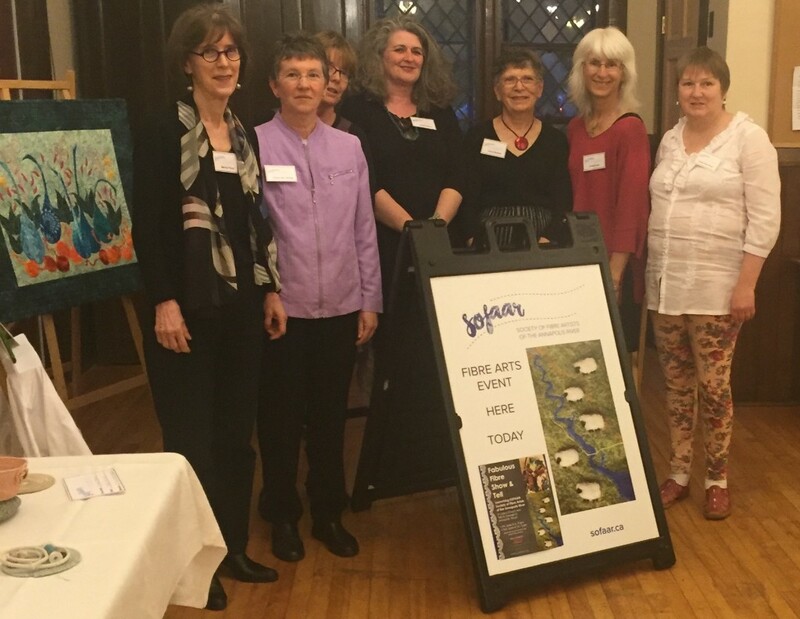 Valerie Hearder has exhibited her work extensively throughout Canada, the U.S., Japan, Europe and South Africa. 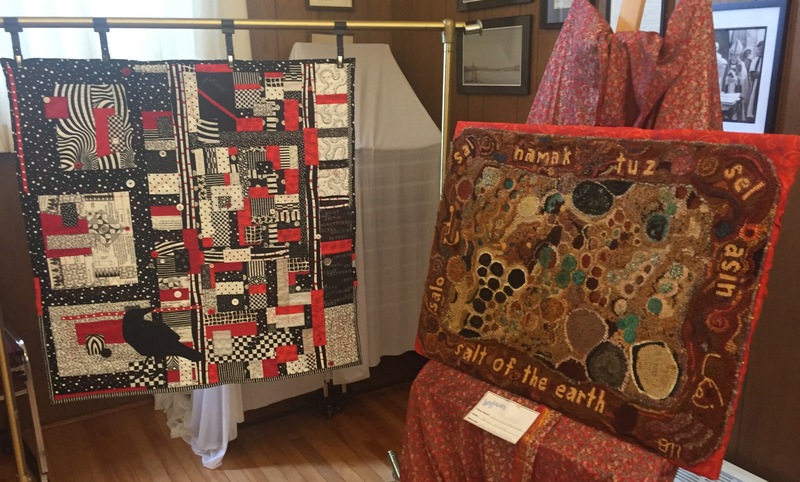 She is a notable quilt designer and teacher, recipient of the Dorothy McMurdie Award for significant contributions to Canadian quilting, presented by the Canadian Quilters Association. 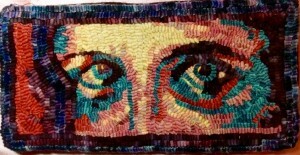 In 2003, Valerie’s work was chosen for “Thirty Distinguished Quilt Artists of the World”, Tokyo Dome, Japan. – You are invited to submit multiple pieces. – This year we ask that you submit digital images of your work for selection. For each entry submit one full image and one detailed image, in a .jpgformat. Name your file as follows; last name, first name, title, for example: SmithJaneWaterlilliesFull.jpgfor the full image and SmithJaneWaterlilies Detail.jpg for the close-up detailed view. The curator will choose entries for the show from the digital images. –Is the piece for sale? If so, what is the price? 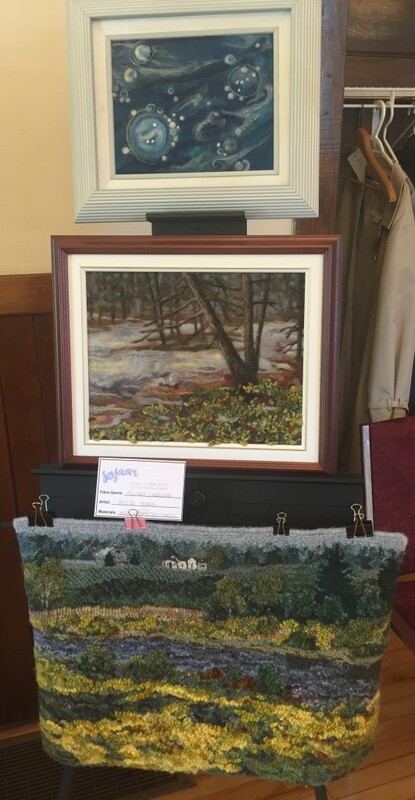 Please note that ARCAC will take a 10% fee if the work is sold. –You must include an artist’s statement with your submission. The statement is simply one or two sentences explaining what inspired you to create the piece. 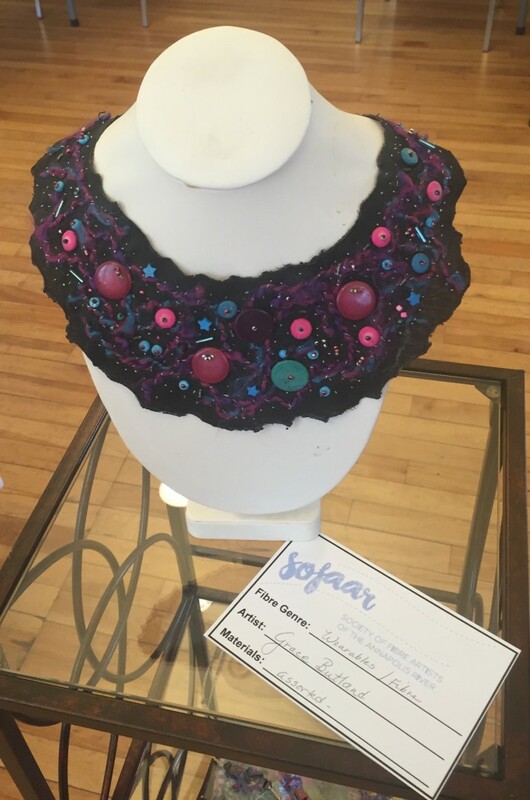 –Does SOFAAR have permission to use your photos to promote the exhibition? – Each piece must be clearly labelled on the back with the artist’s name and the title of the work. – Work to be hung must be ready for hanging, including a hanging rod, if applicable, and any special hardware if a simple nail will not suffice. If your work requires a special display, please provide it. – Work may be for sale but the piece must remain until the closing date of the Exhibition. 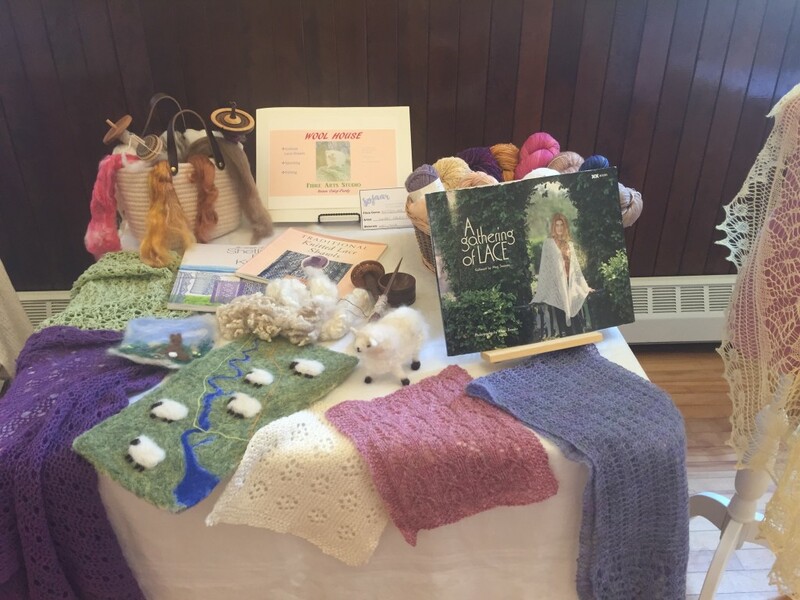 ARCAC will handle all sales, including credit cards, and will take a 10% fee. -Although every care will be taken of the submitted work, the responsibility for loss and damage whilst in exhibition cannot be accepted by SOFAAR or ARCAC. We strongly advise that each artist obtain commercial insurance to cover the work in exhibition. 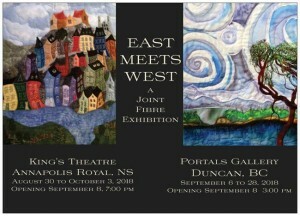 – Once you have been notified that your entry will be welcomed in the show we ask that you deliver your work to ARCAC, 396 St George Street, Annapolis Royal, August 29, 2018, between 10 am and noon.